When Paul Coley answered his phone on the morning of July 27, 2017, he wasn’t expecting to hear a BBC World News correspondent on the other end of the line. 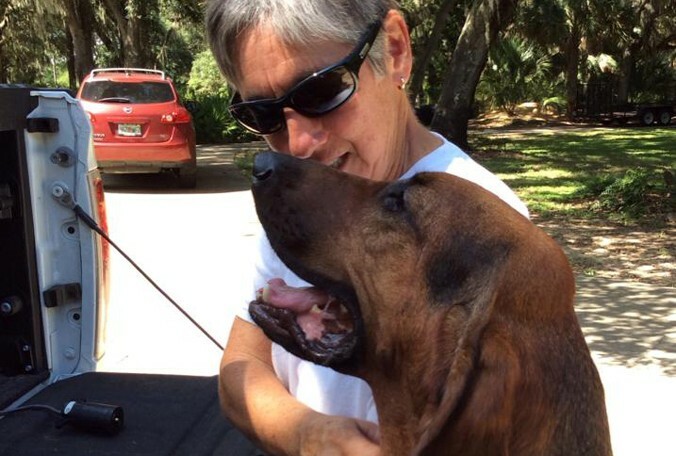 Overnight, a Citrus County Florida woman with dementia had gone missing and had been found safely by an area K9 trailing team, using one of the Scent Preservation Kits he had designed and manufactured a few years earlier. Throughout the next few days, Paul fielded calls and conducted interviews with dozens of media outlets that reached hundreds of regions around the world. The role of scent preservation in the successful outcome of the missing person case had gone viral on a global level. The missing Citrus County woman had preserved her scent almost two years prior to the event with a scent preservation kit she obtained from local law enforcement who distributed the kits as part of a public safety program to community residents at high risk of going missing. Having the onset of dementia put the woman in one of the highest risk categories for becoming lost. Recent studies have shown that 6 out of 10 individuals with dementia will become lost and that the number of those diagnosed will increase by 40% to 7.1 million in the U.S. by 2025. The kits consist of a specialized jar, scent collection pad, tamper-proof seal, and identification label. The person collects their own scent by wiping the pad across the skin in the armpit or neck area. After labeling and sealing the jar, the kit is stored indoors out of direct heat or sunlight for the best results. Coley stated, “I started this business to help people and save lives. I’ve personally worked hundreds of cases and I’ve seen and felt the pain of family members during a search. 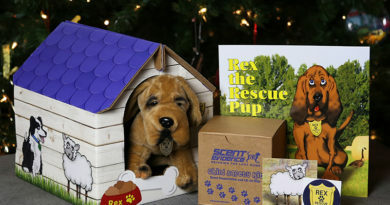 I knew I had to do something more to bring the lost home to their loved ones safely.” With that mantra, Paul and his wife Donna, a Sig Sigma Blackbelt and Baldrige Examiner, began researching the best way to help those in need and the science behind scent discriminate canine methodology. The research revealed two major groups at high-risk for going missing including those with dementia (Alzheimer’s Disease) and Autism Spectrum Disorder. According to the Center for Disease Control, one in 68 children have been diagnosed with autism spectrum disorders (ASD). A study completed by the American Pediatric Association states that almost 50% of these diagnosed children will go missing at least once before the age of 17. 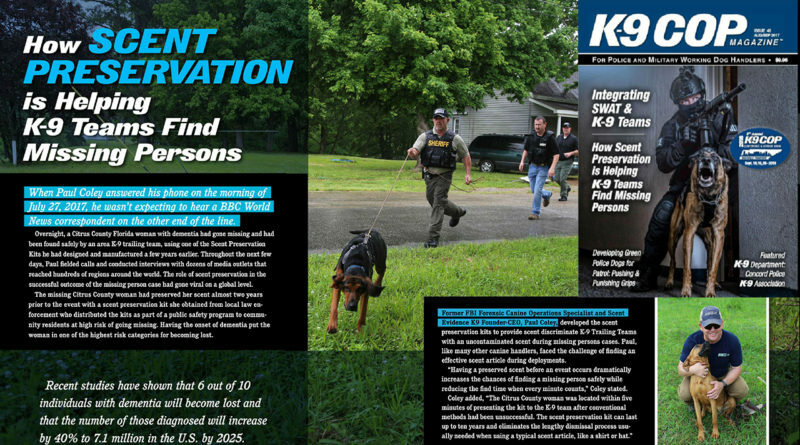 Paul, a Florida panhandle native, began approaching Sheriff’s Offices in neighboring counties with the idea to raise awareness for these high-risk missing persons populations by offering scent preservation kit community programs and scent discriminate K9’s trained using the comprehensive M77© program developed and trademarked by SEK9. 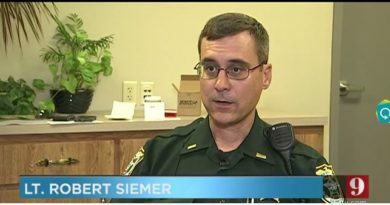 Since then, several southeastern Sheriff’s offices have implemented new public safety programs to help find missing persons and bring them home safely. The programs all utilize scent preservation kits that the agencies then distribute to those in the community with family members who are at high-risk for becoming lost. 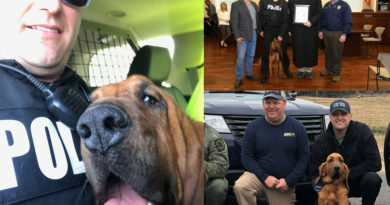 Coley and his Scent Evidence K9 team have made it their mission to improve the process of finding missing persons and provide systems and services that enable communities and organizations to bring the lost home not only in the U.S. but abroad as well. Paul and Donna were recently asked to attend the 2017 Scent Summit Ablaufpanung in Salzburg, Austria as the only U.S. scent discriminate K9 trailing presenters. Training is at the center of this process improvement. “Donna Coley, SEK9 Co-founder – Executive Vice President states, “Trailing teams are often searching for a vulnerable lost child or a confused elderly person who has wandered off. As a result, we train our bloodhounds to indicate passively when the target is located.” Paul has also developed On Scene Scent Collection Kits for K9 trailing responders. 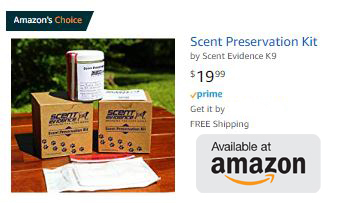 The kit utilizes multiple scent pads and was designed to be used in training exercises and for deployment of multiple handler teams working a case. Paul and his team have worked cases where his K9’s have successfully trailed a target’s scent that may be days or weeks old. His bloodhounds have picked up trails in the rain, traffic, urban settings and deep woods. 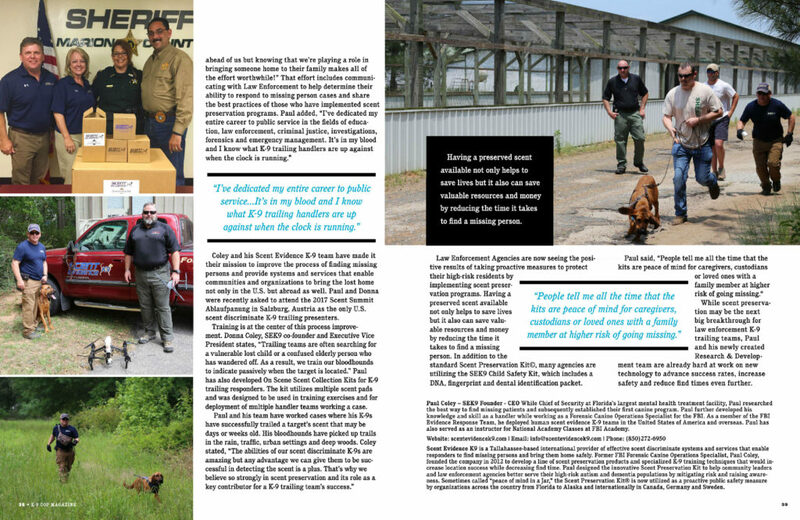 Coley stated, “The abilities of our scent discriminate K9’s are amazing but any advantage we can give them to be successful in detecting the scent is a plus.” “That’s why we believe so strongly in scent preservation and it’s role as a key contributor for a K9 trailing team’s success.” added Paul. 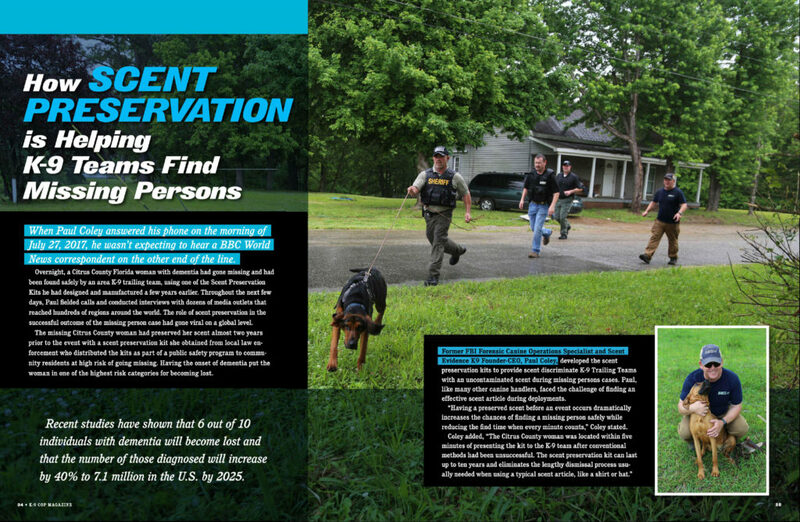 Law Enforcement Agencies are now seeing the positive results of taking proactive measures to protect their high-risk residents by implementing scent preservation programs. Having a preserved scent available not only helps to save lives but it also can save valuable resources and money by reducing the time it takes to find a missing person. In addition to the standard Scent Preservation Kit©, many agencies are utilizing the SEK9 Child Safety Kit, which includes a DNA, fingerprint and dental identification packet. While scent preservation may be the next big breakthrough for law enforcement K9 trailing teams, Paul and his newly created Research & Development team are already hard at work on new technology to advance success rates, increase safety, and reduce find times even further. 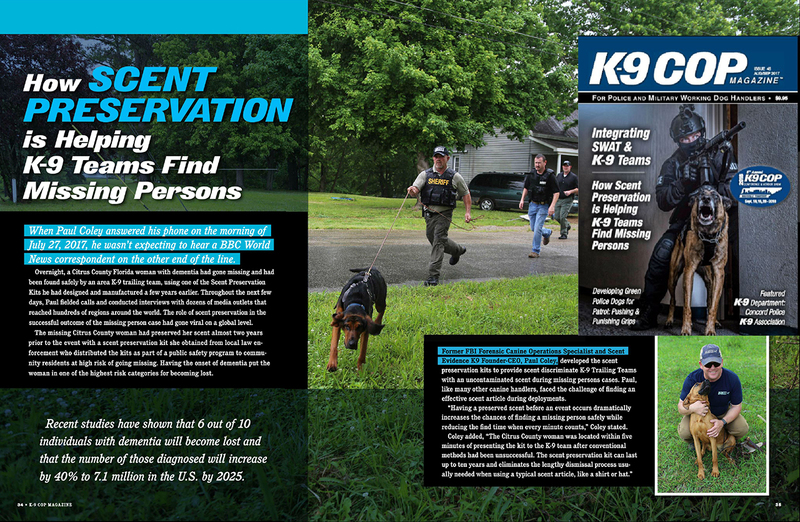 To promote the latest in scent discriminate K9 Trailing techniques, Sheriff John R. Mehr of the Madison County Sheriff’s Office in Jackson, TN will be hosting a K9 Trailing Seminar in their new West Tennessee Training Center Oct. 2-6, 2017. The seminar, conducted by Scent Evidence K9, will feature comprehensive Scent Discriminate K9 training for handler teams, Scent Preservation Education, Search Strategies, and Drone Technology Integration, (presented by David Merrick – FSU Director of Emergency Management and Homeland Security). 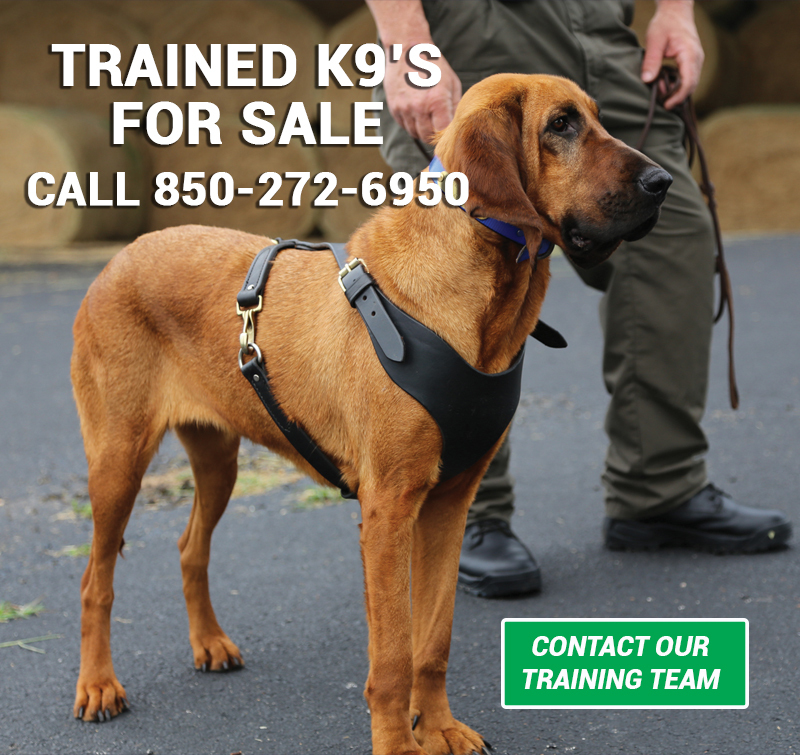 “The K9 Trailing Seminar is an essential event for law enforcement, first responders, and emergency management teams to learn more about the advancements in the techniques used to bring missing persons home safely.” said Sheriff Mehr. 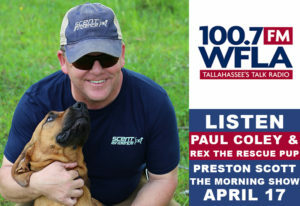 While Chief of Security at Florida’s largest mental health treatment facility, Paul researched the best way to find missing patients and subsequently established their first canine program. Paul further developed his knowledge and skill as a handler while working as a Forensic Canine Operations Specialist for the FBI. As a member of the FBI Evidence Response Team, he deployed human scent evidence K9 teams in the United States of America and overseas. Paul has also served as an instructor for National Academy Classes at FBI Academy. For more information visit scentevidencek9.com or contact us at info@scentevidencek9.com or 850-272-6950.